BOILERS One of the most important items in your house is the boiler, however most people do not realise this until it breaks down. This is why it is vital to look after it! 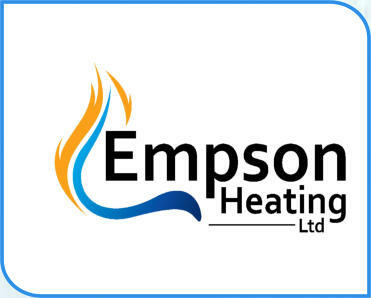 If you choose Empson heating to look after your system, we will do our very best to get you back up and running. Your boiler should be serviced every year and if we service your boiler, it’s not just the boiler we will check for you. On our visit we will check the whole system, bleed the radiators and check your inhibitor levels. If your boiler is beyond economical repair we can advise on replacement, quote and install at a very competitive rate. We do not have a particular preference when it comes to boiler manufacturers and new boilers. We will quote on the best boiler that meets the needs of your household. HEAT INTERFACE UNITS (HIU) Some new build properties (mainly flats and apartments), are fitted with central heating called district heating. This is where a central boiler provides hot water to individual properties, then passes through a Heater Interface Unit (HIU). Heat is then pumped through for your heating or hot water. You are then billed by one energy provider, who measures how much heat you have taken from the network. You cannot change energy providers with this system. These systems still need servicing annually, as low flow can cause problems, such as lack of heating and hot water. If you need more information or help with this type of system, then please get in touch.